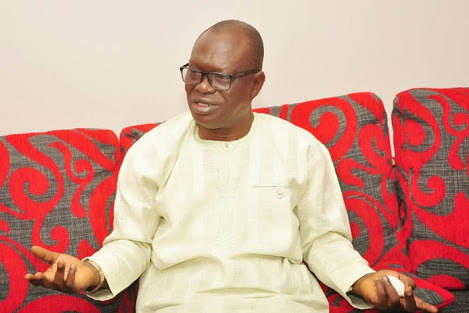 Our attention has been drawn to a post making the rounds that our principal, the immediate past Secretary to the Delta State Government, Comrade Ovuozourie Macaulay, has rejected an offer to be Deputy Governor ahead of the 2019 general election. First, the writer should accept our gratitude for his believe in the Isoko project as well the political prowess and leadership of our principal. But for the records, we must state that as much as our principal is hundred percent in agreement with the struggle to return Isoko from a down grade by the incumbent government, accepting a lie to trend in his name will not be part of the rescue mission. If there was any iota of truth in that publication, it is public knowledge that Chief Ovuozourie Macaulay is man enough to accept it. Rt. Hon. Victor Ochei who was referred to in that publication has not made him any such offer. So be rest assured that he is in the struggle to rescue Isoko people, and believes strongly in the Isoko project. This rescue mission, however, must be hinged on facts reached by parties not imagination of an individual. Can you imagine a situation where Ochei comes out to say he never made such offer to him? And the extent of damage that can be to his political career? The Okiroro, Chief Macaulay still believes in God that something good will come the Isoko way. He believes in a better package for Isoko Nation come 2019. He is urging Isokos to remain united for a common goal. Long Live Isoko Nation! Long Live Delta State! Long Live the Federal Republic of Nigeria!! !